Family-run restaurant serves authentic recipes. Other branches include One Mont Kiara (03-6211 9872) and 3 Two Square Petaling Jaya (03-7954 9872). FAMILY-run restaurant Bangkok House has managed to capture the essence of Thai cuisine, which is known for its extreme flavours – from tongue-scorching spiciness to simple yet decadently sweet desserts. Born in Bangkok and of Malaysian-Thai descent, Sarah Hassan works behind the scenes as head chef while sister Farah Hassan is the public relations manager. “These recipes come from Bangkok so we’re working together to serve authentic Thai cuisine with a family-oriented dining experience,” said Farah. 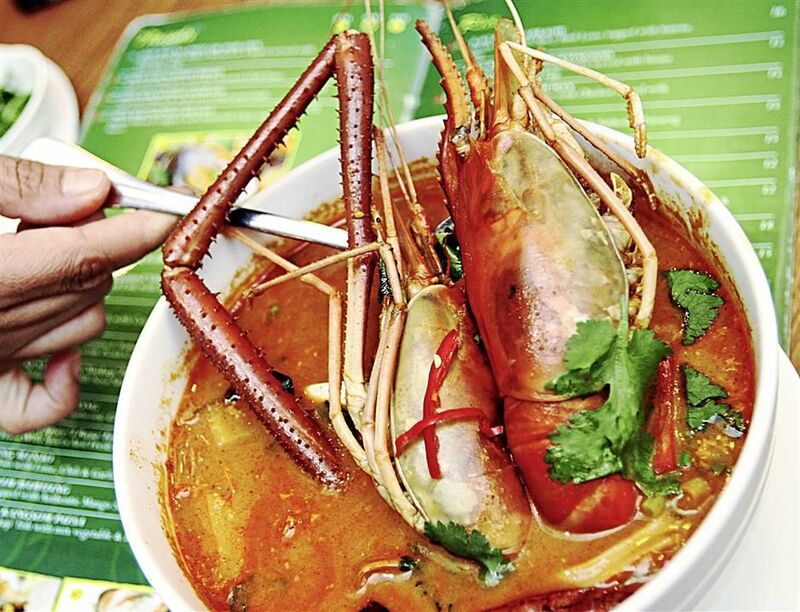 Pla Neng Manao is a choice dish served at Bangkok House with either Garoupa or Siakap (pictured), steamed with a light and tangy lime, chilli, garlic sauce garnished with coriander and aromatic lemongrass. 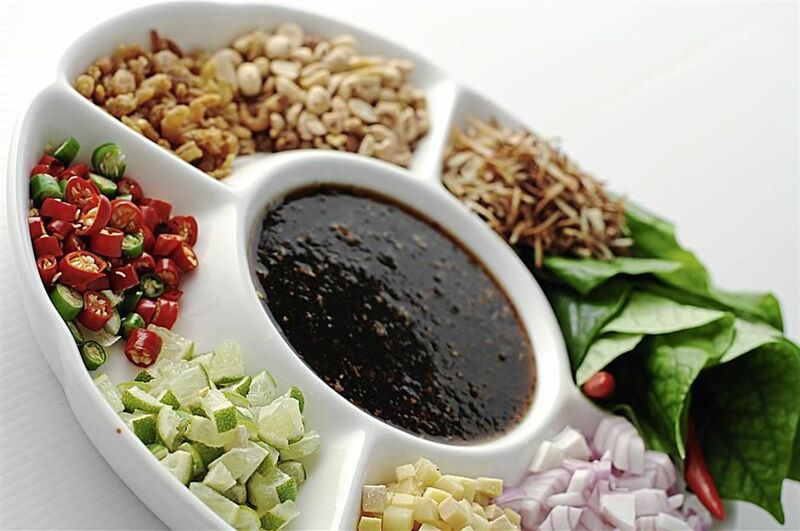 The menu features an array of authentic Thai recipes such as the Miangkham (RM15), an appetiser of kaduk leaves served with a thick sweet Thai sauce, bits of lime, chilli, onions and ginger as well as dried prawns. The feast began with an embodiment of the intensity in Thai cuisine, Seafood Tom Yam Soup (RM18), with its sourish acidity and spicy heat coming from roasted chilli paste, made from scratch and accented sweetly by the fragrant lemongrass. Bangkok House’s Giant Freshwater Prawns were the highlight as these fresh juicy prawns from Kuala Selangor were cooked in a variety of ways including Claypot, Garlic Prawn, Chuchi Kung Manaem and Butter Prawn. Next up were the Tom Yam and Panaeng Kung. The spicy tom yam soup was altered completely and made creamier by the rich juices from the prawns. A Bangkok House speciality, the Panaeng sauce is a thick aromatic gravy full of spices, reminiscent of the Malaysian masak lemak but with Thai influences and slathered onto the prawns. Bangkok House serves Giant Freshwater Prawns in five different sauces. This one is Tom Yam. Another recommended dish was the Pla Neng Manao with a choice of either Garoupa or Siakap fish that is steamed with a light and tangy lime, chilli and garlic sauce then garnished with condiments that most represent the flavours of Thailand, which is coriander and lemongrass, said Farah. So, the meal ended with a deliciously light but rich red ruby dessert, Thab Thim Krob (RM6.50), made of shaved ice and glutinous pink water chestnuts in coconut milk topped off with jackfruit. The restaurant is having a one-for-one promotion for Giant Fresh Water Prawns (RM35 per 250g) on the first of every month at all outlets. Reservations for the Fresh Water Prawns promotion must be made in advance. For reservations, contact 012-206 9872 via SMS only.